The final island on our Caribbean tour was to be Trinidad. The larger part of the two-island state of Trinidad & Tobago, it lies only a few kilometers of the Venezuelan coast. Originally called Iëre – the island of the hummingbird – by the local population, Columbus, who sailed past it on his third journey renamed it to the somewhat generic Isla de la Trinidad. Still there’s some catchy names left in the names of the two channels that seperate Trinidad from Venezuela: the dragon’s mouth and the serpent’s mouth. 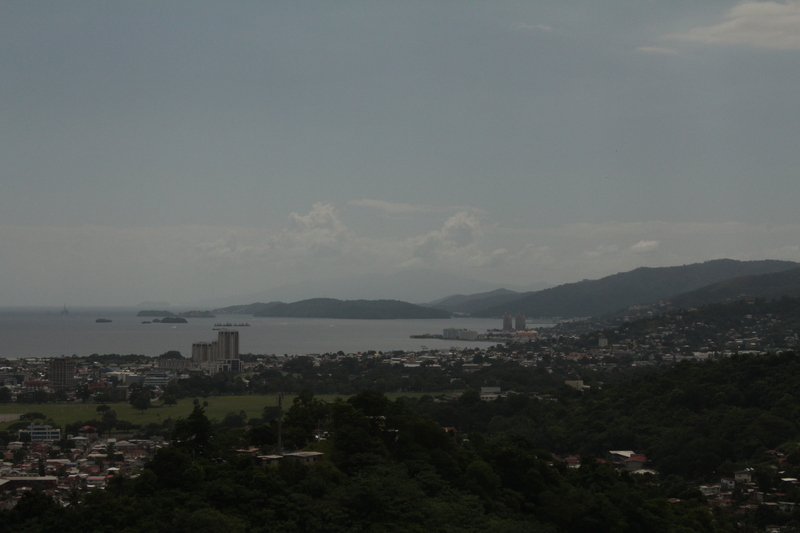 View of Port of Spain, with the dim outlline of Venezuela on the horizon. 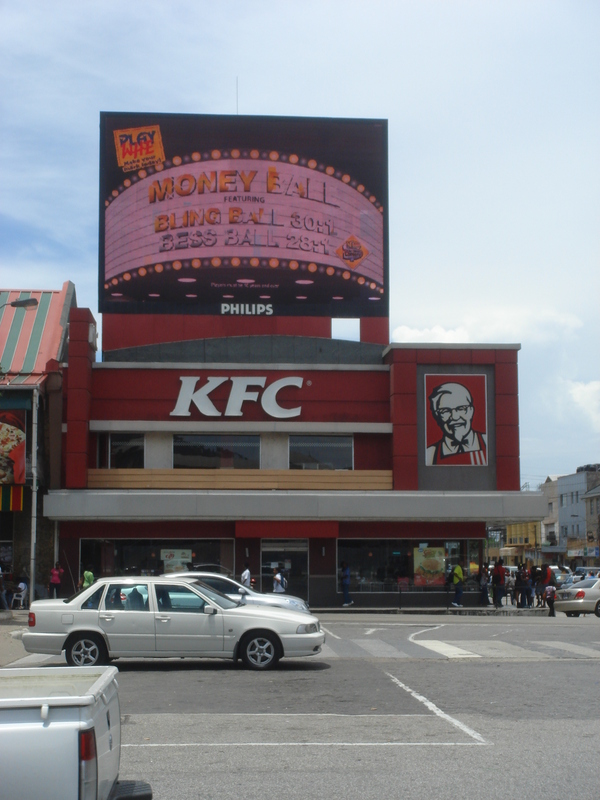 The one word to know when coming to Trinbago is limin’. It’s the nation’s favorite pastime and means something like chilling, relaxing and generally having a good time. The people of Trinidad don’t enjoy working that much and contrary to the rest of the world, they actually decided to do something about it. The country has one of the highest numbers of public holidays anywhere in the world. They start off with a base numer of 14 official public holidays, which have the nice habit of moving to a Monday whenever they fall in the weekend. They then add to that the inofficical public holidays, which aren’t really licensed, but nobody expects anyone to come to work regardless. An example would be the five days around carnival. As if that isn’t enough, there’s also the surprise public holiday. These are given at frequent intervals and normally coincide with some sort of joyous occassion. Any excuse will do. When we were there, it was the return of javelin gold medalist Keshorn Walcott from London which induced the prime minister to call a holiday for Monday at eight o’clock Sunday evening. And last but not least, there are of course the normal holidays that people are entitled to. If you put them all together, you will rarely have a five-day working week left. 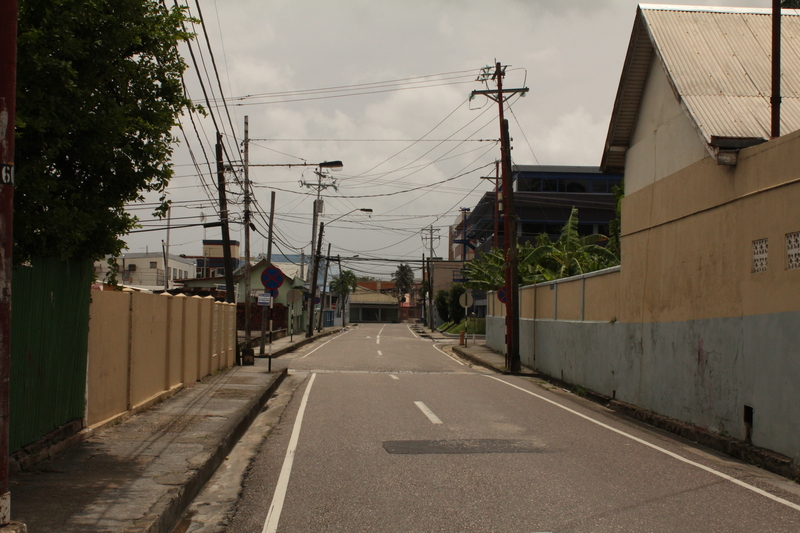 When it’s a holiday in Port of Spain, the streets turn post-zombie-apocalypse dead. We wandered around the airport a little looking for the driver our guesthouse had sent. A small crowd was beginning to form as soldiers were handing out little T&T flags. By the end of the morning that crowd had grown to 15,000 and several trucks filled with massive speakers blared out the sound of the steel drum bands playing on their roofs. 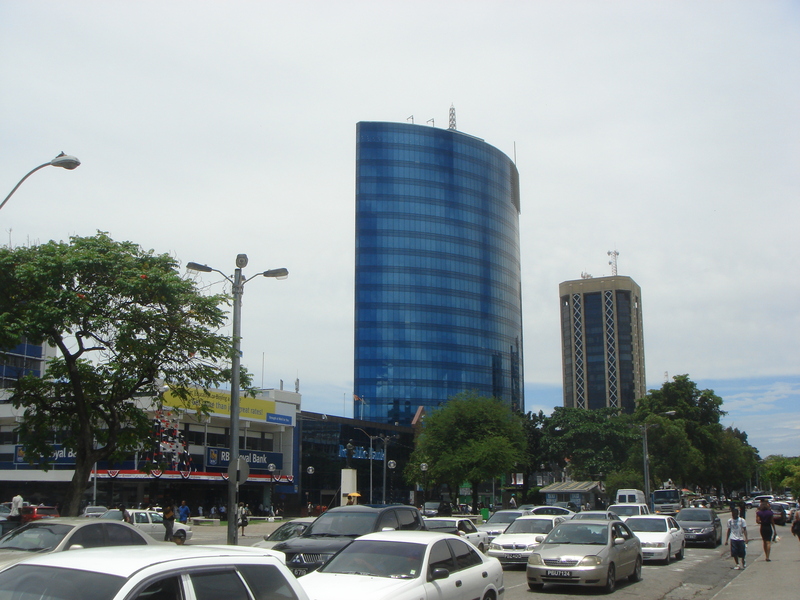 Fortunately, we had gotten out just in time and made our way to the nation’s capital: Port of Spain. Contrary to all the other islands we had visited on this trip, Trinidad doesn’t really have a tourist industry. The economy is built around the oil industry and most foreign visitors are expats or business travelers instead of cruise passengers. It was a refreshing change. The city itself was an interesting blend of cultures. After slavery had been abolished in the 19th century indentured laborers had been brought from China and particularly India to fill the gap on the sugar plantations. Today Indian-origin Trinidadians make up almost half the population, and they have stuck to their favorite foods, movies and gods. 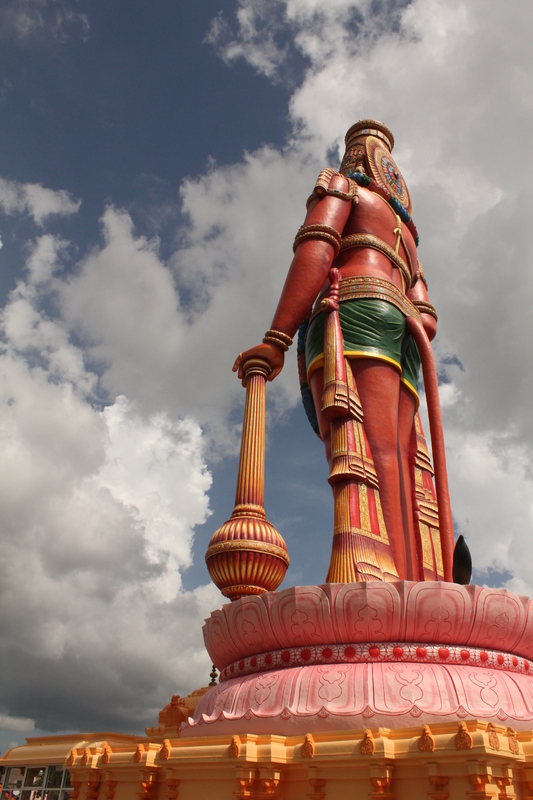 The largest Hanuman statue outside of India. 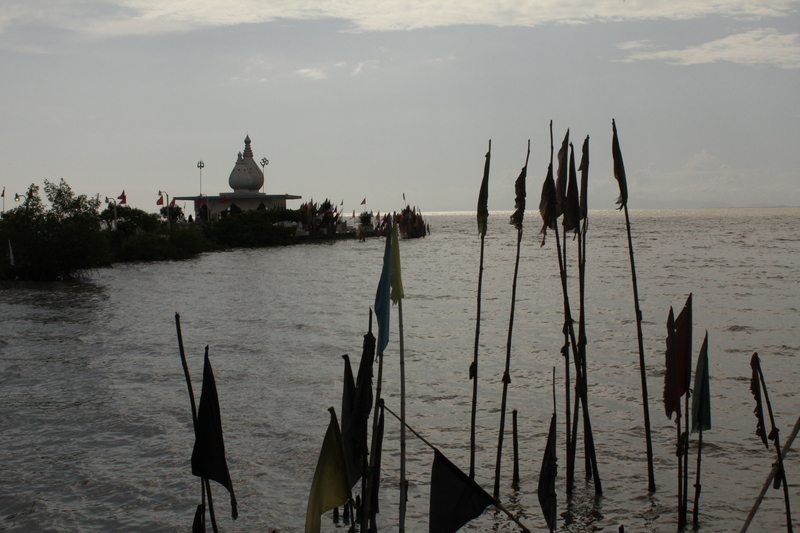 Temple in the sea in Waterloo, Trinidad. The builder was not allowed to construct it on land by the English colonial rulers, so instead he created a small island just off the shore and built his temple there. Unfortunately, due to the impromptu public holiday, and the two official ones that were to follow in the week ahead, all restaurants were closed with the exception of TGI-Fridays and its sort. So we ate burgers with milkshakes most of the time. Come to think of it, American fast food chains occupy a disproportionate amount of real estate along the city’s main drags. The reason is quite simple: free advertising. As cable television swept through the region, it brought along all the US-based networks, which carry a lot of fast-food advertising. Locals figured out that all they had to do was purchase the franchise, and watch the money rolling in without spending a dime on getting customers through the door. So you can spot not only the big ones like McDonalds, Burger King and KFC, but also Wendy’s, Pappa Joes, Dunkin’ Donuts. You name it. All in all, we spent almost ten days in Trinidad, most of them in Port of Spain, while taking a few trips to the northeast to watch baby turtles hatch, and to the south to see flocks of the country’s national bird, the scarlet ibis, fly across mangrove swamps. It was a relaxing end to our month in the Caribbean. And if there’s one thing that this country knows, it’s how to relax. 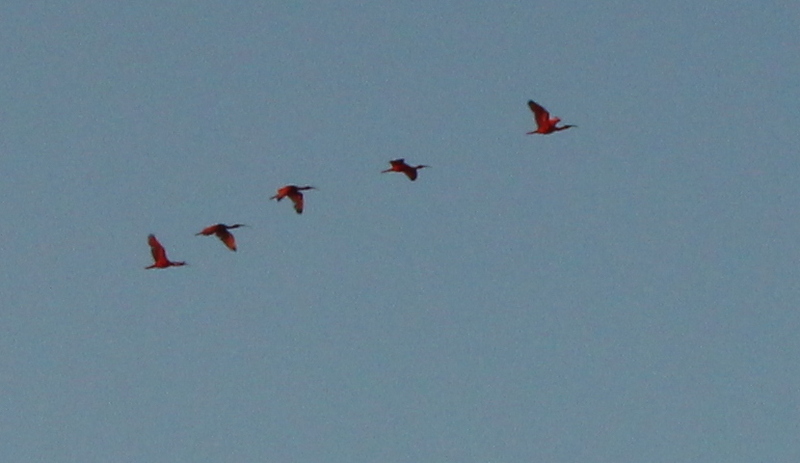 Scarlet Ibis in flight at Caroni Bird Sancuary.